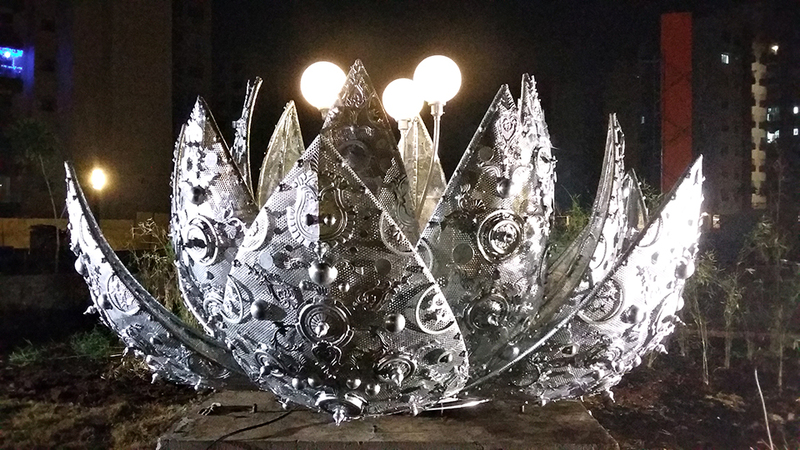 This project is done for the LODHA Group, Mumbai. 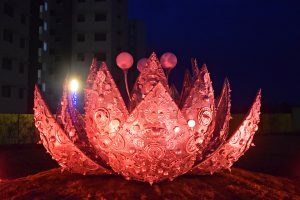 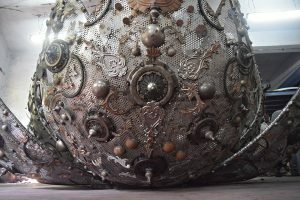 This sculpture is inspired from the lotus flowers seen at the site. 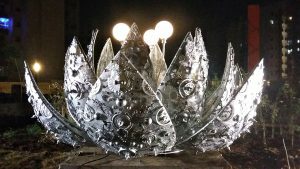 So this Lotus sculpture is made to add beauty to the riverfront of the project. 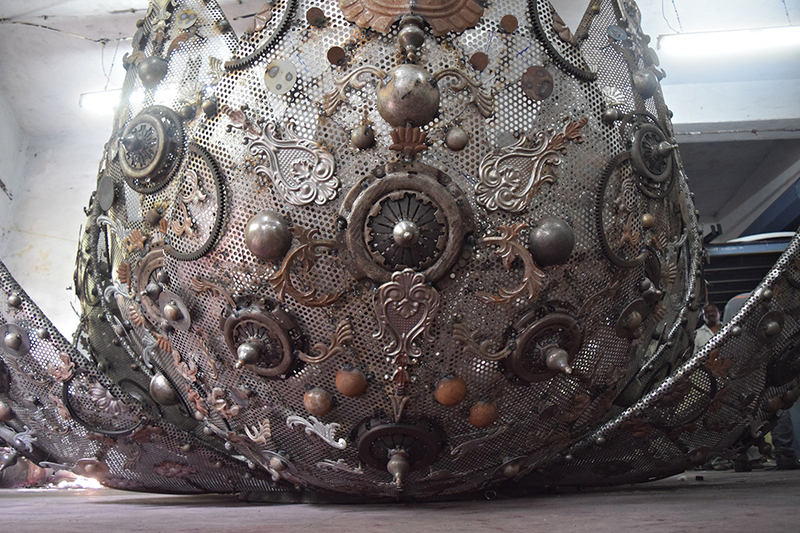 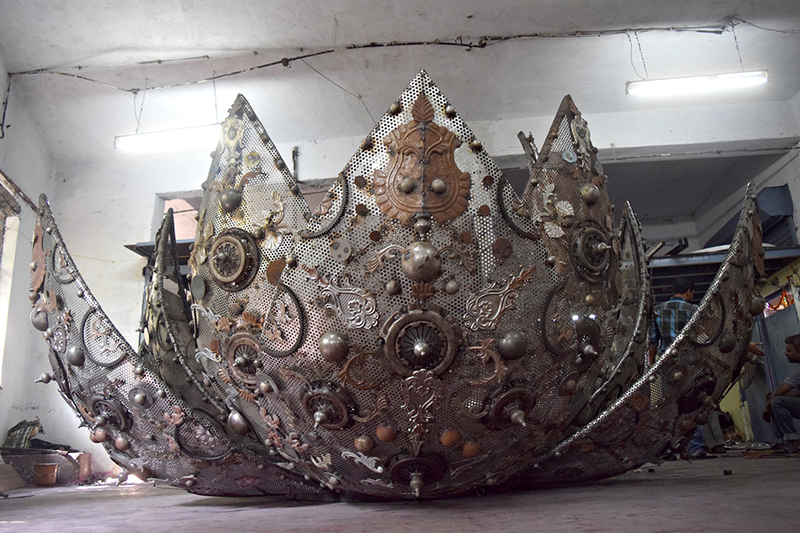 Approximately 700 kilograms of metal scrap is used to create this sculpture.